Brazil is arguably the most musical (and overall radical) country in the world. I lived there in 2012 and arrived during carnival. My friend and super talented artist (future Jamandahalf post pending) Lu Negrao picked me up from the airport. After a quick shower, we hit the street to start drinking beers, Brazilian style, in a small corner bar. It was the middle of Carnival. There was a group sitting in the street playing samba music with hordes of people dancing around them. From there we went to one of the most local and rootsy samba spots in the world. We danced the night away to a live band of about 15 musicians; many of whom were playing traditional Brazilian instruments. It was one of the most fun nights of my life. 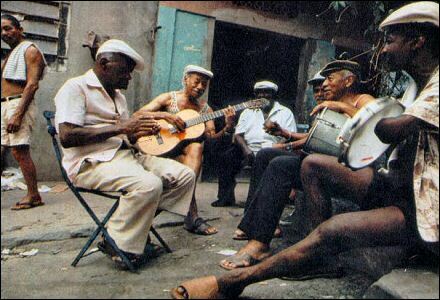 In Brazil music is culture. Samba is the iconic genre of Brazilian music. However, Brazilians are responsible for spawning dozens of different styles of music e.g. Forró, Funky, Samba Rock, Bossa Nova, MPB, Choro, etc. The playlist that follows is not a complete representation of Brazilian music but it is a small taste of how diverse and amazing it is. Jorge Ben and Seu Jorge are the kings of samba rock, Natiruts kicks irie reggae vibes, Marcel D2 fuses rap and samba, and Tim Maia brought funk music to what is already a ridiculously funky country. *Dont forget to check out the video of the most popular “Brazilian Funky” song ever, which talks about life in Brazil's favelas around in and around Rio.